This post is sponsored by Neutrogena. As always, all opinions are my own. We all want great skin but how do we achieve it? For me, a great skincare routine is essential. I've been using Neutrogena for years and honestly their products get better and better as time goes by. Truthfully the older I get, the busier I am so I always look for products that don't only target one of my skin concerns but several at once. As a busy mom, wife and entrepreneur, I like to use my time wisely. Which is why I am excited to share that I've partnered with Neutrogena to tell you guys how I achieve a youthful glow while getting rid of sun spots and uneven skin tone as well as preventing wrinkles... it's simple it's a 2-step routine and I know you'll love the results just like me. If you follow me on Instagram and Facebook, you've noticed I've been talking about 2 products lately and today I want to share my results after using it for about 2 weeks. If you were to ask me what my biggest skin concern is at 34, I would say preventing wrinkles and also my uneven skin tone and pores around my cheeks. I've been using Neutrogena Triple Age Repair Night Moisturizer and Rapid Tone Repair Dark Spot Corrector everyday and night for the past week and I am loving the results. 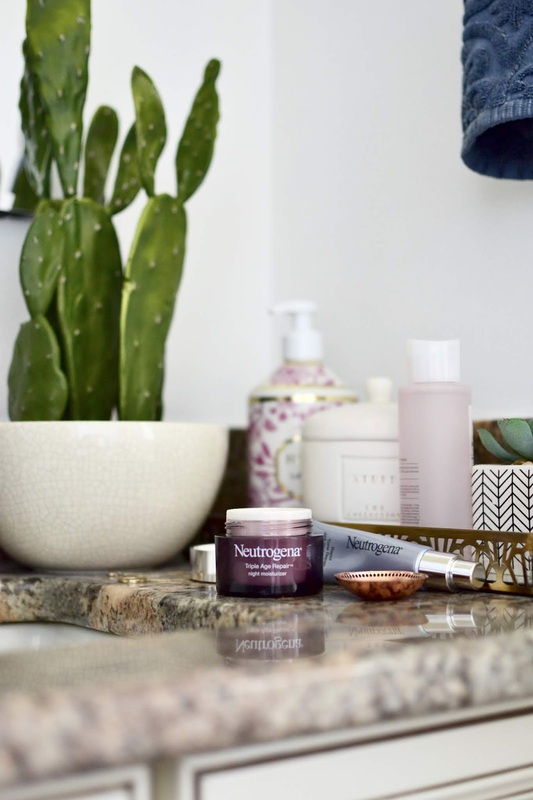 The biggest tip I can give you is to always remove any makeup before going to sleep, wash your face well and apply Neutrogena Triple Age Repair Night Moisturizer to your face and neck, every night. I love a natural glow without makeup but in the past I have been a little insecure about my sun spots, not lately though... I love going bare faced, in my opinion I look younger and honestly, I just feel more confident and beautiful. I recommend you use Neutrogena's Rapid Tone Repair Dark Spot Corrector daily under makeup or alone. It contains vitamin C and its gentle enough for all skin types. I've been using it in the mornings before my moisturizer and I am loving the results. I believe that discipline has a lot to do with how we achieve our goals in life. I remember ever sine I was a teen, my mom was always making sure I took good care of my skin. 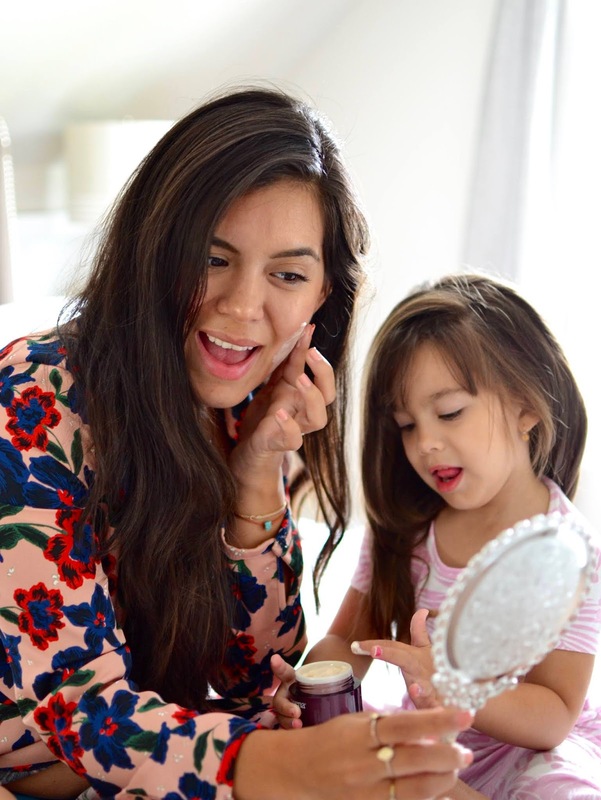 Whether it was reminding me to wash my face before bed or remove my makeup when I started to wear it... she always made sure to instill a skincare routine from a very young age. Now that I have Emme, it reminds me of those days when I used to look up to my mom and everything she did, which included how she dressed, how she put on makeup and of course how she was always on top of her skin. She has been my inspiration as I get older and now that I have a daughter of my own, I am able to pass that onto to her. Emme is always curious as to what I am doing and loves to "help" me with my makeup or skincare routine. 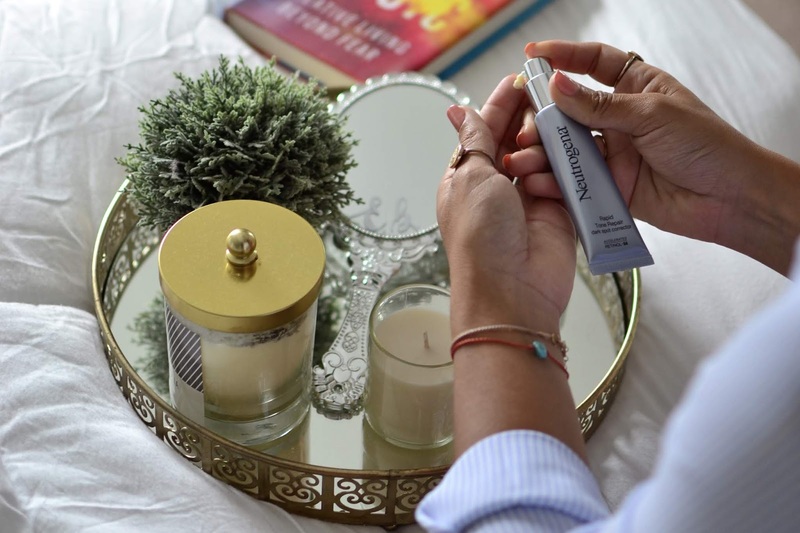 If your skin care goals consists of a natural and youthful glow that's effective, inexpensive and easy, I recommend the double radiance set by Neutrogena - thank me later!